Moving to Spain? Live there where others are spending their holidays. Orihuela Costa the perfect place for your retirement. 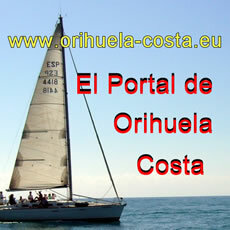 Please visit also our other pages about Orihuela Costa. Spain has a modern telephone system with similar services to those offered by most European countries. The service is expensive, much more so than that provided by British Telecom. The bills according to the provider arrive monthly or bi-monthly. A telephone will cost you about the same, or a little less in line rental, than you are paying in the UK but calls, especially abroad, are extremely expensive. Many from the UK, who may have been used to chatting without regard to the amount of time they spend on the telephone, soon learn that in Spain, this is an excellent way to damage wealth. From the UK to America, a call can be made for about 5p per minute. The same call from Spain would cost 20 times more. No longer is a luxury, a telephone a must. However, its use in Spain needs to be taken seriously. That is, unless you have money to throw away and if you are reading this, you probably haven't! It is advisable to make a contract with a private telephone service provider with which you can have very cheap package contracts. You than only pay a monthly fee and all national and international calls are free. Internet: Spain has a large number of internet suppliers, with which you can reach the Internet quiet cheap. Most providers offer flat rats. 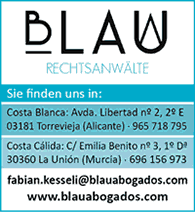 Now a private provider is offering fibre optic cables in Orihuela Costa. With fiber-optic cables, you have not only a transfer rate of 100 Mbit/s, but also a variety of television programs. At the company Olé Comunicación, you also have the advantage that some staff speak perfect English and are also available when setting up your Internet connection with help and advice. Almost 89 per cent of Spaniards over 14 years of age have declared that they watch television every day. Television began to operate as a regular service in Spain in 1956. From the moment of its inception, it was considered a state public service and was subjected to, as were all the other media, strict control by the regime. In 1965, a second television channel began to function, which also belonged to RADIO TELEVISIÓN ESPAÑOLA, (RTVE). The present structure of the public television system dates from 1980, the date of the promulgation of the Radio and Television Statute, which established diverse groups for control of the medium on behalf of Parliament. An Administrative Council was created at that time, directly designated by the Congress and the Senate as well as the Parliamentary Control Commission for RTVE. After thirty years in existence, Spanish television is going through a stage of profound transformation. The impact of new technology, above all of cable and satellite television, and the variation in ideological concepts, that have affected the history of television in all Europe, is inaugurating a completely new period. The Spanish television system has appreciably varied during the last few years with the disappearance of the public monopoly on television and the appearance of three new private channels, once the law presented to Parliament by the PSOE government goes into effect. Up to the present, two national networks and nine regional ones have existed, all of them public entity RTVE, run by a general director designated by the Government. The Administrative Council is entrusted with controlling the RTVE and, in particular the fulfilment of its statute. The regional channels depend on the Autonomous Communities' governments and have control mechanisms similar to those of RTVE. The RTVE's two channels are called TVE 1 and TVE 2. The first is directed to a general public, offering uninterrupted programming from early morning to late night and has the largest audience, despite the intense competition registered since private television appeared. TVE 2 has a flexible programming, which lends special attention to sports broadcasts and live broadcast of important cultural events. Its television coverage and its audience have grown considerably over the last few years reaching, in 1994, an audience of almost 6 million viewers. Both channels are financed by publicity and their income also allows them to defray the costs of public state radio. Private TV networks began to be launched in 1990. ANTENA 3 was the first channel to operate, followed by TELE 5, and finally by CANAL PLUS in 1990. Spanish viewers’ preferences hardly differ from those of other Western European countries. Sports, live game shows, movies and films made for television, both local and foreign, the latter are essentially North American or Latin American; dominate prime time hours which attract the largest audiences. Do you want to visit the websites of the television companies or Siesta Radio? Then click on the graphics! The local radio station Siesta Radio broadcast English language program. Please visit their website for more details. One program is running every day from 11am to 12 midday and every Friday from 10am to 12 midday they broadcast live from the Casino del Mediterráneo Orihuela Costa the Siesta Sports Show with Roy McDonough.